- Tweeze is operated by 2 AAA batteries . 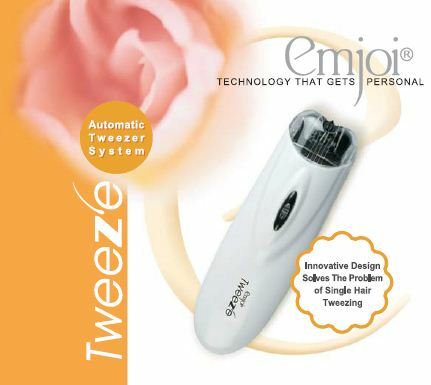 - The Tweeze lets you remove hair anywhere, with no scratching, pulling or irritation like standard tweezers. - Very portable and you can keep it with you at all times, for touchable, smooth skin wherever you are. - No worries for the device to be turn on unintentionally as it has a special safety designed on/off button. - To turn it on, you have to press and slide up the on/off button. - To turn it off, just slide down. - Some people may experience that the epilator is not effective during their first try, as it is an epilator but not a shaver. - To obtain best result, rub the skin so that the hairs would stands up before epilating. - Your skin should be stretch and the epilator at 90 degree angle to the area you are removing the hair. - There is no need to apply pressure, just move the epilator in SMALL CIRCLES SLOWLY, lightly gliding over the skin surface. - Please do it in SMALL CIRCLES SLOWLY over the skin area and DON'T APPLY A LOT OF PRESSURE. - It takes time to practice to aim the epilator head properly. - Do not expect it to be fast at removing hair like a shaver. - Shaver only need one or two passes to cut off all the hair in an area. each time the tweezer metal pieces open and close. - But the tweezer metal pieces open and close at a very fast speed. - Thank God that the epilator only pull a few hairs at one time. - If it pull all the hairs in one go then the pain will be intolerable to some people. - You will feel the pulling effect as the epilator does it job. - As you do this more, you will be proficient in using the epilator. - Usually some lubricant oil was already dripped into the epilator head during assembly in factory. - However the oil might not have flow or slip completely into the mechanism. - You can manually turn the head a few rounds (clockwise and anti-clockwise) with your finger to help the oil to slip into the mechanism. - Or you can drip additional drop of lubricant oil into the epilator head and then turn the head with your finger for a few more round. 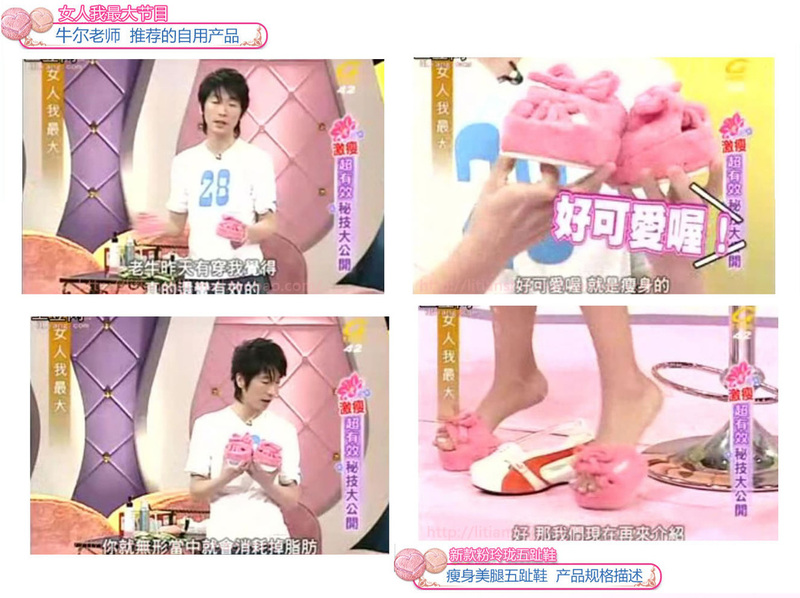 - Each slipper has 5 finger slot for you to rest all your toes comfortably. - The half instep lets the foot heel lift-off, regardless of being walks favoring a lame leg perhaps under the heel presses. - It will extend muscles between calves to thigh. - It’s the time to show your beautiful leg . you are walking, standing, cooking, doing household chores and you will see result gradually. - They help you exercise your leg muscles, burn the fat and give them beautiful shape and curves. - And help you burn more calories by simply walking or standing. - These slipper have micro fiber surfaces, which gently exfoliate your feet and massage the reflexology zones on your feet. 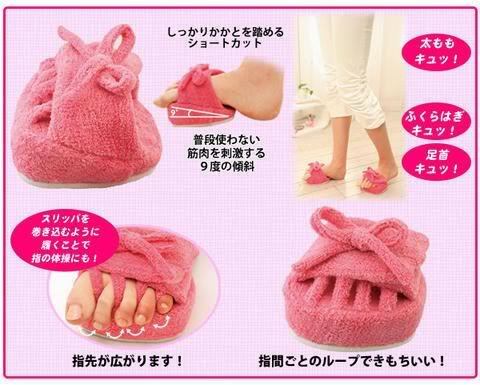 - It specially design to separates your toes, so you can wear them to apply nail polish. - It adjustable, you can fasten or loosen up the shoes to find the perfect fit. of the hip center of gravity, make buttocks more tightening firm. 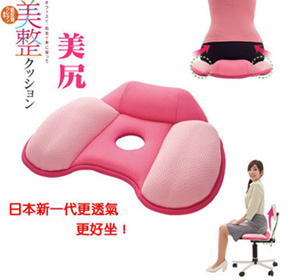 avoid hunched-over triggered long-term adverse posture of waist sour backache. - Not only help you to slim and firm your buttock , it help to improve blood circulation. 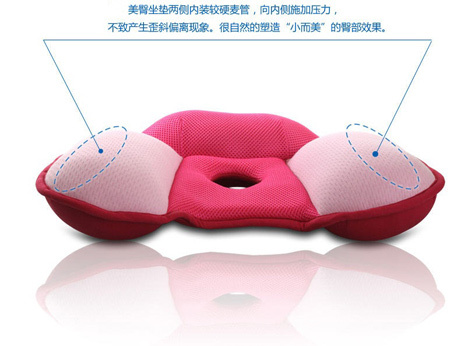 - Most importantly it provide you with great comfort as a cushion.